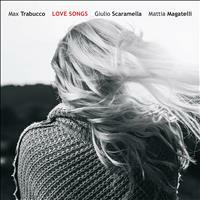 Max Trabucco recounts the many nuances of Love and encloses them in the new album "Love Songs", which will be released next 30 April, International Jazz Day. After his debut in 2016 with the project "Racconti di una notte" (abeat Records), Max Trabucco, drummer and composer from Treviso, he wanted to paint a new musical framework, proposing together with his recent piano-trio a series of excerpts from the Afro-American tradition (and not only), reinterpreted in a modern style. Starting from the interpretation of "Nature Boy", song made famous by the famous American singer Nat King Cole in the late forties, through "Traumerei" by Robert Shumann, and arriving to a series of original songs, the trio embroidered eight impassioned canvases, each with a precise and well-defined character. The title "Love Songs", explains Trabucco, refers to the point that unites the choice of the tracks contained in the album; "I wanted to group some of the most beautiful love songs, or that as" Traumerei "have somehow depicted this noble feeling over the years, re-reading them in a modern and original way". The trio is composed by Max Trabucco on drums, by the pianist from Gorizia Giulio Scaramella (also present in Trabucco's previous work "Racconti di una notte") and by double bass player Mattia Magatelli. The base on which the trio is supported is the interaction between the musicians; the extemporaneous creation of short stories through well-kept and personal sounds forms the foundation of this work. Listening to this recording will be like taking part in a conversation held in a universal language, which through sounds and silences will arouse a wide range of emotions in the listener.